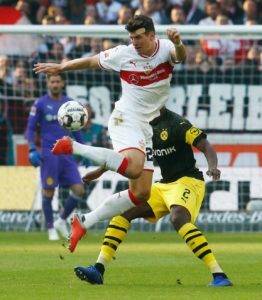 Mario Gomez is confident Stuttgart have enough quality to survive in the Bundesliga this season. 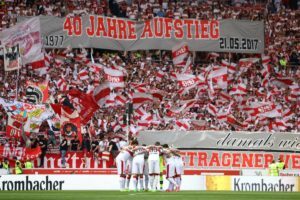 Stuttgart sporting director Michael Reschke is 'convinced' they can retain their Bundesliga status despite a poor start to the season. Stuttgart will have to hurry if they wish to sign Liverpool striker Dominic Solanke as Crystal Palace are closing on a deal. Vfb Stuttgart have been linked with a move for Kasimpasa's Egyptian international midfielder Mahmoud Ibrahim Hassan or 'Trezeguet'. 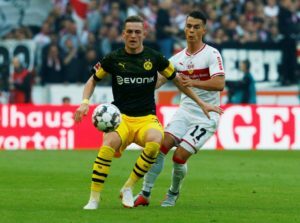 Bayern Munich boss Niko Kovac says they are unlikely to make a move for Stuttgart defender Benjamin Pavard in January. Stuttgart are bracing themselves for more interest in Benjamin Pavard, following reports Napoli have joined the race to sign him. Stuttgart boss Markus Weinzierl admits he is 'desperate' to pick up points when they host Augsburg this weekend. 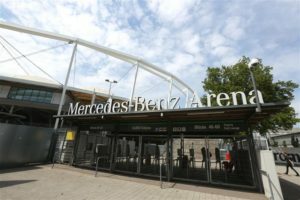 VfB Stuttgart midfielder Erik Thommy says training this week has been tough as the Bundesliga strugglers eye improvement. 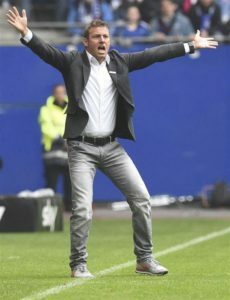 New Stuttgart boss Markus Weinzierl says he will set his side up to attack Bundesliga leaders Borussia Dortmund on Saturday. Stuttgart have parted company with head coach Tayfun Korkut after their below par start to the season. Borna Sosa and Santiago Ascacibar are both in contention to play for Stuttgart against RB Leipzig on Wednesday. 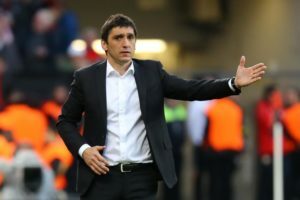 Stuttgart boss Tayfun Korkut was left frustrated after his side were held to a goalless draw by Fortuna Dusseldorf on Friday. 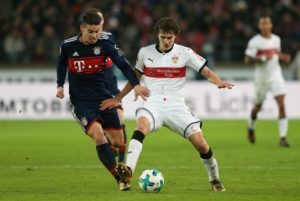 Manchester City are reported to have entered the race to sign Stuttgart defender Benjamin Pavard. Stuttgart would be willing to sell Benjamin Pavard to Barcelona to prevent him joining Bayern Munich, reports have claimed. Stuttgart defender Benjamin Pavard is reportedly wanted by Premier League outfit Liverpool. Stuttgart are the latest club to be linked with a swoop for Kasimpasa’s Egypt international winger Mahmoud Hassan Trezeguet. Tottenham have reportedly made an approach for Stuttgart's French World Cup winner Benjamin Pavard. Matthias Zimmermann is looking forward to a 'new challenge' after leaving Stuttgart to join newly-promoted Fortuna Dusseldorf. New Stuttgart defender Pablo Maffeo says Pep Guardiola told him to join the Bundesliga outfit. Stuttgart have been rocked by the news Alexander Meyer has been ruled out for the foreseeable future with a serious knee injury. Stuttgart have been boosted by the news Holger Badstuber has committed his future to the club by penning a new three-year deal.